The classic Theories "Theoramid" logo is now gracing a beautiful, sporty sock and can now bless your little, stanky feet. These new Theories socks are really solid. With the perfect weight and thickness, and none of that weird swishy, slick material that makes a sock feel weird to skate in. 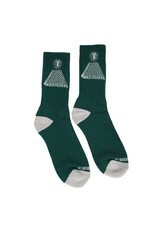 These socks are perfect for skating and have a medium size that is not too tall and not too small.....aka, just right. 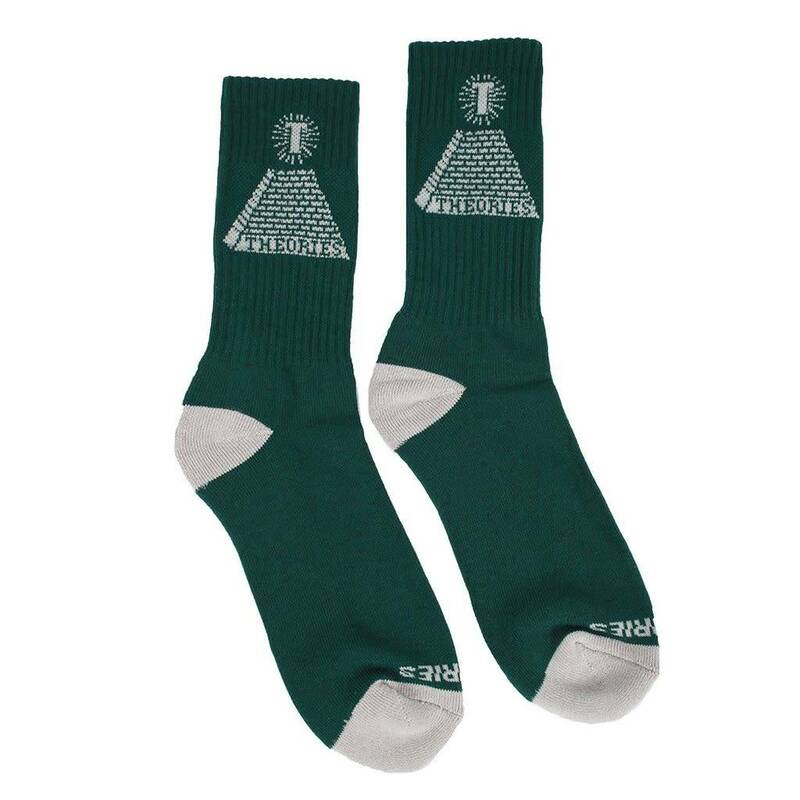 The Theoramid sock is available in a olive with beige logo stitching. These socks are a great athletic fit and have the best sizing for feet between size 8.5-11 but should be fine for nearly any foot.